Eddie and Grace Lemay, cookhouse folks, first came to the tiny town of Gibsonton Florida in 1924. On their way to Miami, they stopped for the night along the banks of the pristine Alafia River and, as legend has it, Eddie cast his fishing line in the water and caught dinner in the first fifteen minutes. 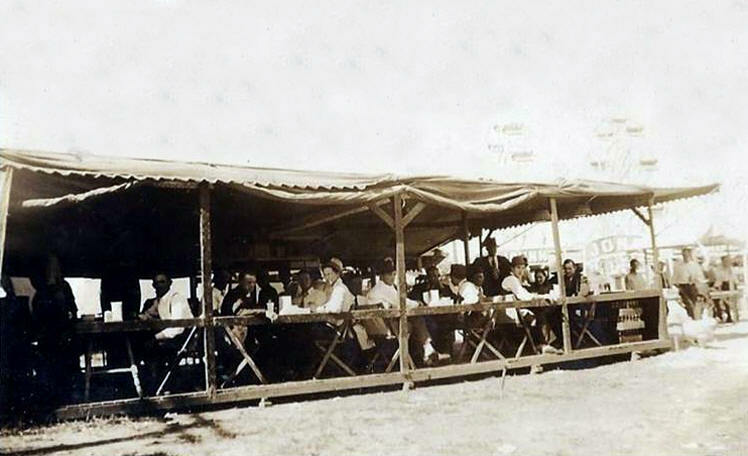 By 1929 he and Grace had built Eddies Hut, a general store, bar and restaurant which served as the first retail establishment in town and later a meeting place for showfolks before the I.I.S.A. showmen's club was conceived. They were the first show people to find this tiny town but they certainly weren't the last. 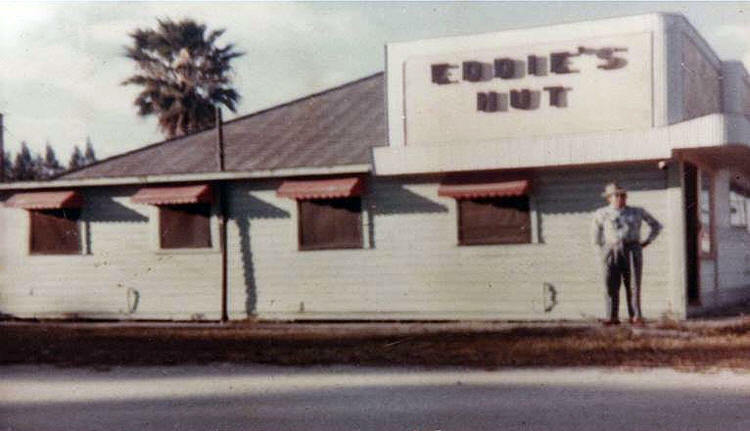 "A Gibsonton, Florida landmark, Eddie's Hut, is no more. Long a gathering place for showfolk in the town, it has been razed to make way for the widening of U.S.Highway 41. In addition to getting a bite to eat, customers of Eddie and Grace LeMay could also get updated on the latest in the midway business and where everybody was working. It was built in December, 1929, by the LeMay's after they had spent 30 years on the road with eat and drink joints and cookhouses. The annual New Years Eve parties there were always a high point of the winter and its "lefthanders" parties were another. For the latter, a $1.00 admission fee was paid and the eaters had to use their left hand only. Fines were assessed when the rule was violated and the money went into a pot for a future bigger and better party."